A day about Chilean Kiwifruits! I always had a fondness for Kiwifruits but now I have many more reasons to look for them. If you love Kiwifruits, you must read the post below for find out why. There is a good news too because now you can order/buy and savor Chilean Kiwifruits in your home in India. Read my takeaway from a recently concluded press conference where the Chilean fruit industry along with the collaboration of the Embassy of Chile and the Nation’s commercial trade office – ProChile came forward and announced their plans of bringing Chilean Kiwifruit to the Indian fresh fruits markets and eventually to our homes. 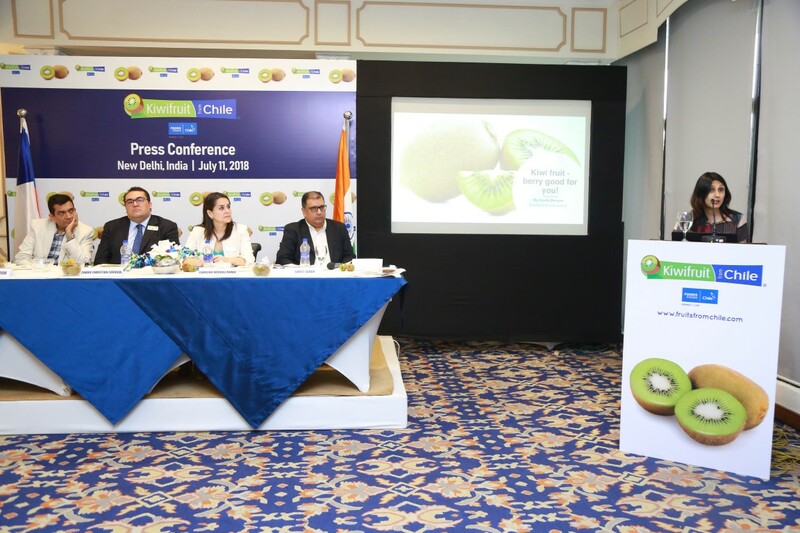 With the increasing trends of kiwifruit consumption in India, this was first of its kind, a promotional effort by Chile to increase trade and consumer awareness about the excellent quality of Chilean Kiwifruit and tap in to the market opportunities. As a travel and food writer, I found it very interesting to be introduced to a country in a delightful and healthy way. People may know Chile for many reasons but I will always connect with it for its passion for growing fruits for the whole world. Carolina Vasquez, Commercial Director of ProChile in India, stated that “The Indian market holds great importance for Chilean kiwifruit due to the rising demand in the country. Through this campaign, our aim will be to promote our kiwifruit and also raise awareness about Chile as a unique supplier of an array of food products such as berries, nuts and seafood as well as creating a greater understanding of the benefits of the preferential trade agreement signed between Chile and india”. According to the World’s Top Exports report 2018, Chile happens to be one of the top 5 countries in the world with $188 million kiwifruit exports in 2017. This came as a revelation to me. Also, Chile is a global leader in food exports and over 80 million consumers in more than 100 countries eat a piece of Chilean fruit every day. Such pictures made me sit up and notice CHILE seriously! I think this was the first time when I attended an event around a fruit and it made me deeply interested in the country where it is grown. I mean it was good to learn about the culinary usage, health benefits of Kiwifruit and how it can be a part of our daily diet but it was great to notice Chile with a different eye. By the end of the event, I was already day dreaming about visiting Chile and seeing its Chilean fruit orchards and farms myself. 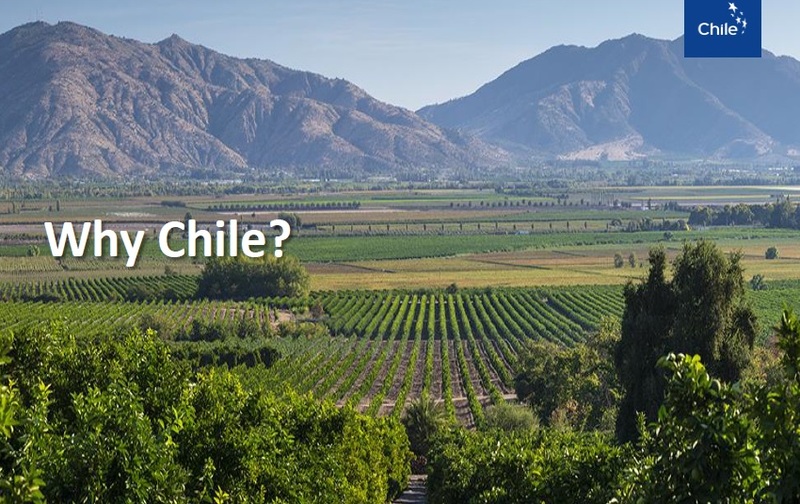 We know CHILE as one of the skinniest, longest country in the world spanning South America, Oceania and Antartica. It is also known for its diverse landscape. The country is naturally a phytosanitary island as it is protected by natural geographical barriers such as Pacific Ocean, the Andes Mountains and the Atacama Desert. I am not sure if you aware but I was quite surprised to learn that more than 100 countries in the world receive 30 different species of Chilean fruit directly, coming from an array of different climates and regions. I must say fruit lovers must head to Chile right away. To start with, Indians will be getting a taste of the wonderful Kiwifruits soon enough. I am sure everyone will question this and even the journalists wanted to have an answer for this. 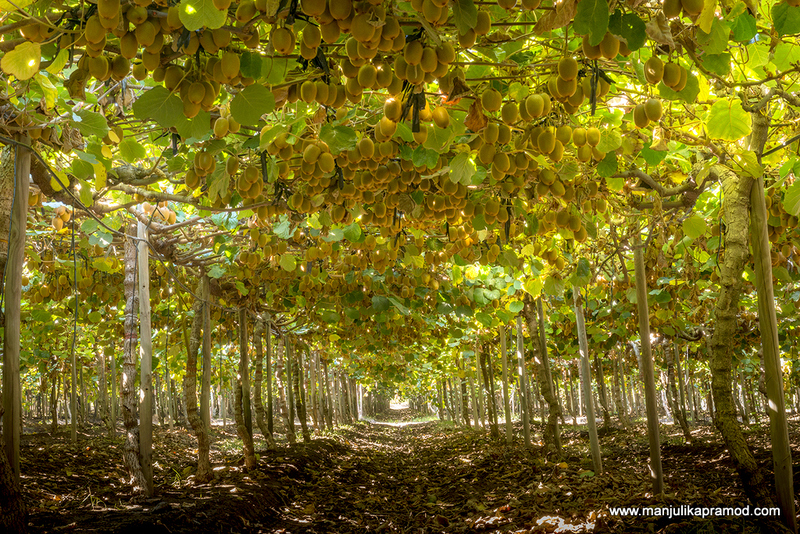 Chile grows Kiwifruits in abundance and they are extremely confident about their product. 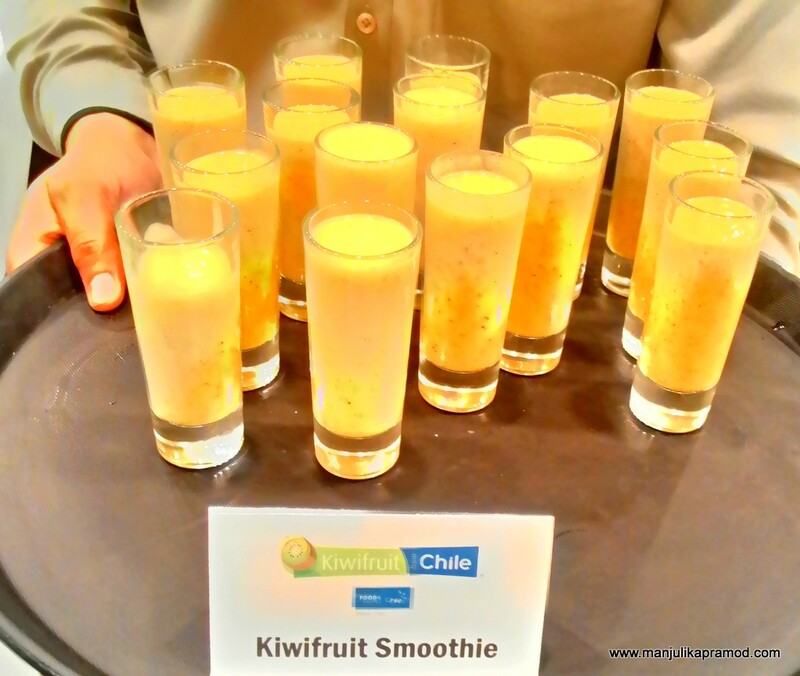 Through the videos and the representatives of ProChile, we learned that kiwifruits are grown with care by the fruit farmers of Chile and they are committed to offering great quality product to the consumers. A large chunk of area is dedicated to Kiwifruits in the country. To be precise, Kiwis are concentrated in a 600 km long zone in Chile. It was insightful to know that Chile is the 3rd largest exporter of Kiwifruits in the world. 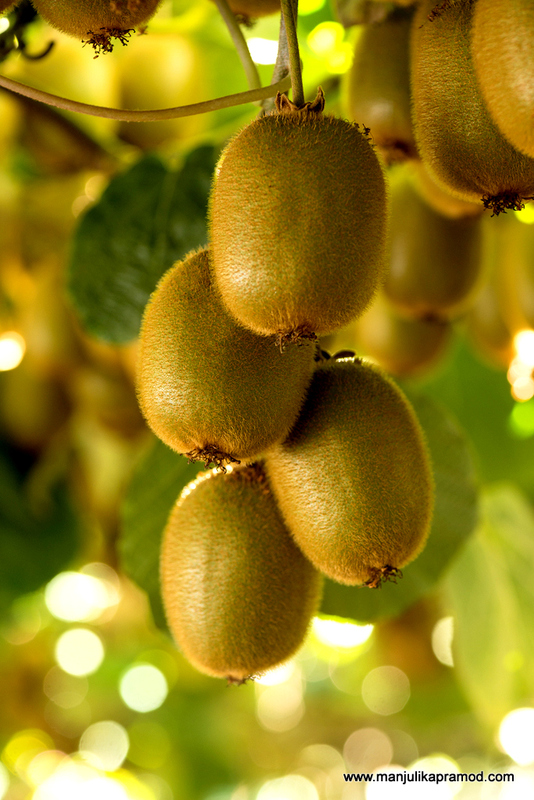 The country boasts of 9500 hectares of Kiwi planting. Chile is committed to offering great tasting homogeneous, consistent and ripened product from March through to November. I bet everyone who came for this conference returned home with lots of love and respect for Kiwifruits. The credit for the same goes to celebrity nutritionist Kavita Devgan. She made us sit up and take notice of some of the most nutritious and extra ordinary benefits of Kiwifruit. She told us about its many benefits starting from the fact that it is a beautiful green fruit but also a big nutritional goldmine. Coming from the berry family, it is actually a Chinese gooseberry. Adding to it, she also told us that if you compare per grams of fruit, a kiwifruit gives more nutrients than any other fruit. 1 fruit has only 40 cal, 2 grams of fibre (both soluble and insoluble), Folate, Vitamin A n E, Antioxidants and more. Since Vitamin C is soluble in water, we need it everyday. Kiwifruit is loaded with antioxidant and Vitamin C almost twice as much as lemons and oranges. It is low in calories and high in energy. So it becomes a perfect fruit for weight watchers. It is a powerhouse of Vitamins and Minerals. Since it is full of dietary fibers, it can lower the risks of heart diseases. It helps to fight against major illness like Dengue. It has been seen that Kiwifruit strengthens immunity and keeps the patient hydrated. Most of food that we eat these days is acidic in nature. Kiwifruit offers a very good balance since it is an alkaline fruit. After all this amazing learning, the conference ended on a smooth and sweet note as Chef Sanjeev Kapoor taught us to make a healthy drink using Kiwifruit for all of us. I totally loved the smoothie and made some for my folks when I returned home.